If you’ve come to this link hoping to see an answer to the question “Should I send flowers to a woman?” I’ll have to disappoint you. I do not know the answer. No woman is like the other one and whether the lady of your heart appreciates it or not – you’ll have to find out by yourself. What flowers to send when in Bulgaria? 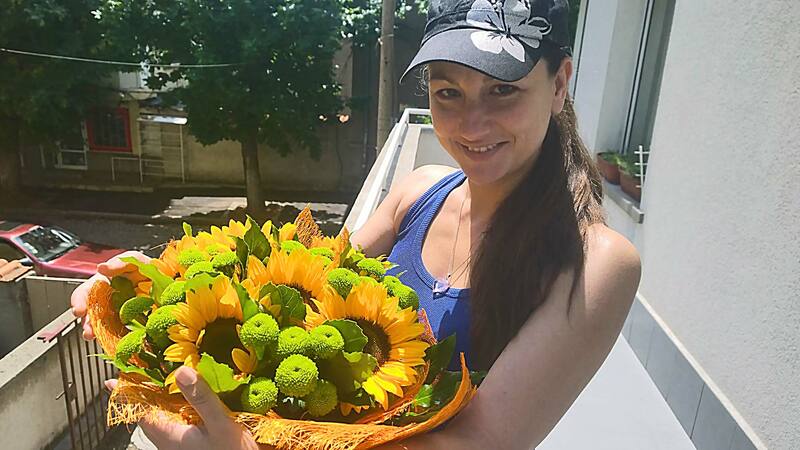 The main reason we wanted to share this post with you is that there are plenty of do’s and don’ts when it comes to sending flowers to a Bulgarian girlfriend, friend, or someone you’re into. To help you choose the perfect bouquet, we’ve put together this informal guide. Enjoy! Nothing says “I’m into you” quite like red roses and that’s known internationally. In Bulgaria, however, you have to be overly cautious with them. If you are sending them to a lady you’re in a relationship with – great! If you, however, are simply trying to show affection – red roses might be seen as far too aggressive. If she happens to have a boyfriend and he sees them – you’ll get her in trouble. And if you’re sending them to her work place – that’s pretty much like telling all her colleagues that she was awesome last night. Not quite the message women want to leave with colleagues, right? So, once again, be extra careful when sending red roses and make sure it’s appropriate. And never, absolutely never, send them to a woman you’re not romantically interested in! It really simply says “I think you’re beautiful” or “You’re on my mind”. It is quite a safe choice, but make sure arrangement is stylish and classy. These beautiful flowers are a wonderful choice for any situation. There’s no chance of being misunderstood when you’re sending chrysanthemums, and are a particularly good choice when you want to take a bouquet of flowers at the house party you’re invited to. A combination of various spring flowers (those tiny ones that are usually gathered in large bouquets) is a safe option saying “Thinking of you” or “Thank you”. Do not send them for a specific occasion however – they can only be sent on a regular day as a sign of affection or as a sign of gratitude for something small. Please remember that those are not a suitable choice for anniversaries either – unless it’s your parents’ one. You can really never go wrong with tulips, especially when they’re in large bouquets. You can send them to anyone for any occasion or without one – just because you’re cool and so are they. Generally you may want to stay away from yellow flowers when it comes to Bulgaria. In some regions of the country they are accepted as a sign of dislike – the type of flowers which you’d bring to an occasion you do not want to attend but you’re forced to. In some cases however, they are the only suitable choice and a good arrangement with yellow flowers may be a great choice to congratulate a friend for a new job or a new baby, or simply as a “thank you” for something small. Even though carnations are absolutely beautiful, back in communism these were pretty much the only flowers given to women and nowadays they are quite neglected here. Carnations were (and still are) most commonly the flowers we bring at funerals. Did we inspire you to make a woman smile? If so, you can use the link below to send flowers (we’re in no way affiliated with the shop – it simply seems to be the only online flower store with an English version) http://www.elfite.net/. If you know any other flower shops online – please feel free to drop the link in the comments below!